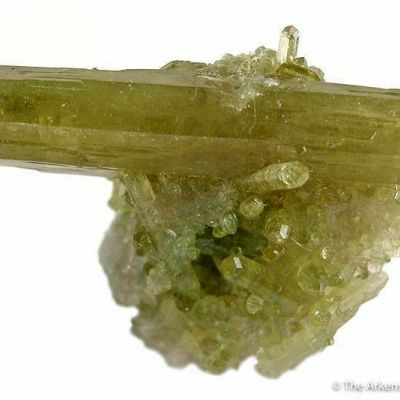 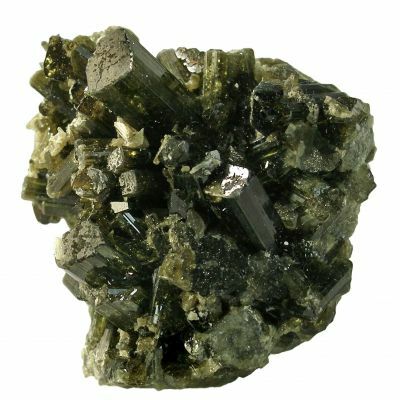 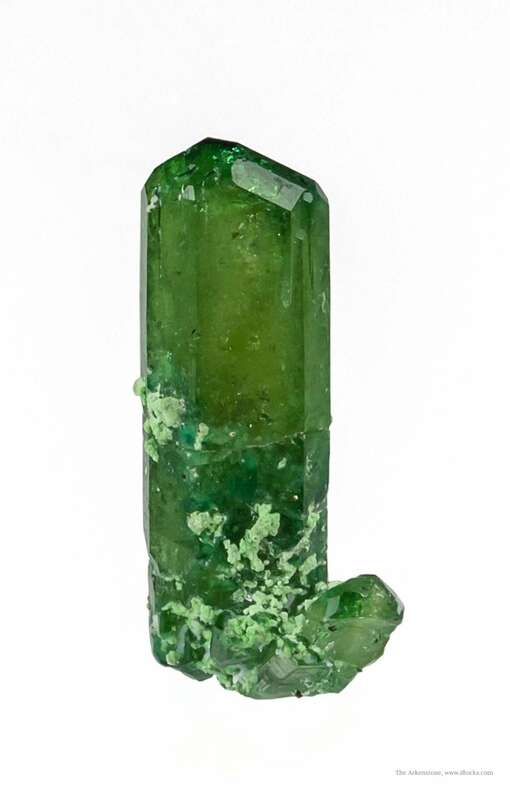 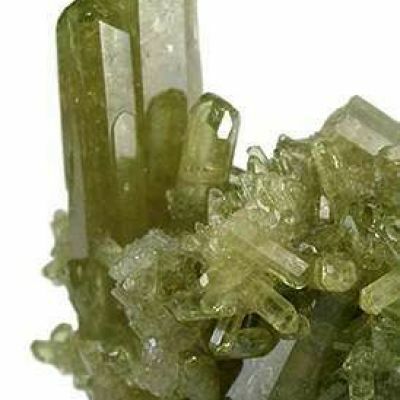 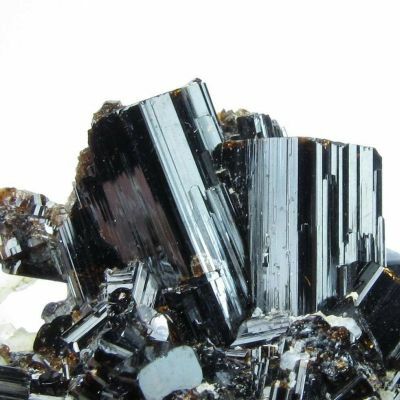 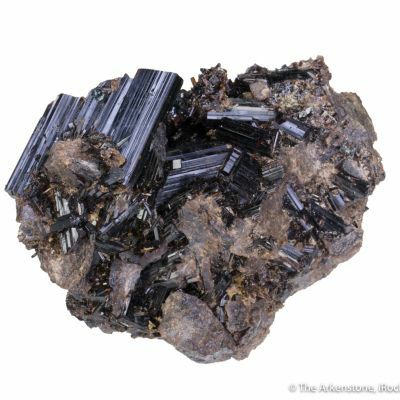 The intense green color, due to an excess of chromium, makes these "chrome vesuvianites" from Asbestos unique in all the world. 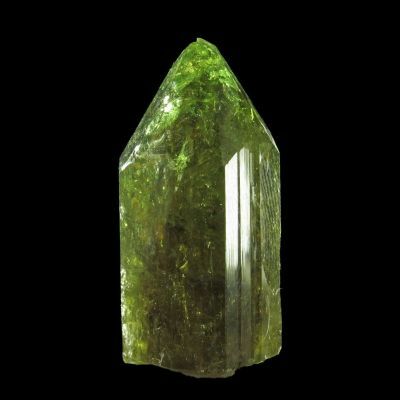 I would say that the Jeffrey Mine is deservedly the world's most famous locality for the best of this species. 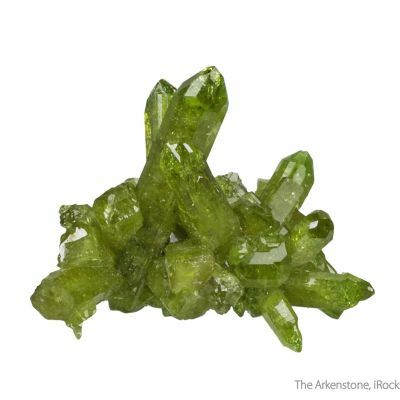 Many pockets were found over the years, but few stand out as "ikonic" among them. 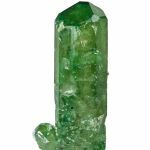 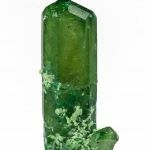 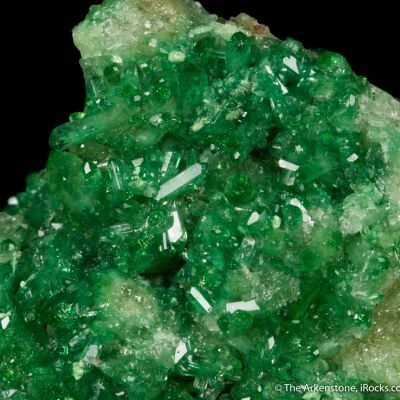 Only a few pockets were ever found, despite the thousands of tons of material mined here, of this incredible green variety of vesuvianite. 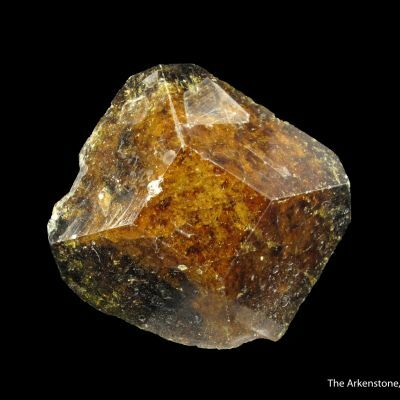 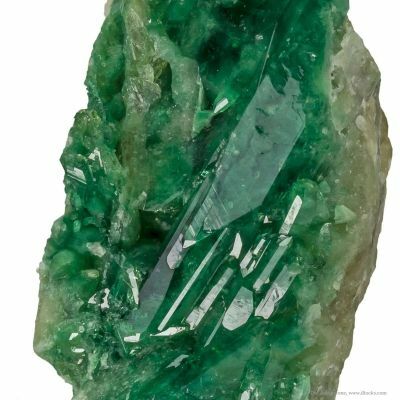 This crystal, though repaired cleanly in the midpoint, is an exceptional example because it is an isolated single showing textbook form. 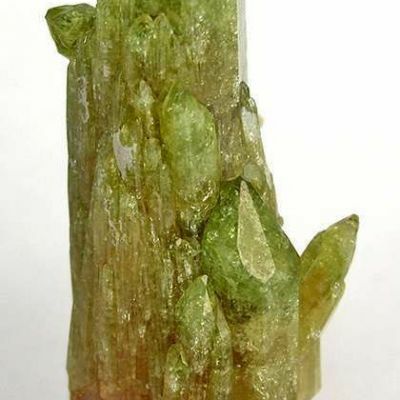 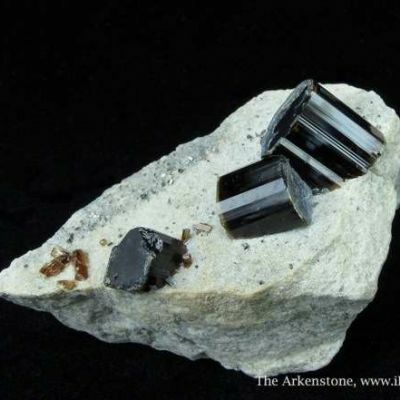 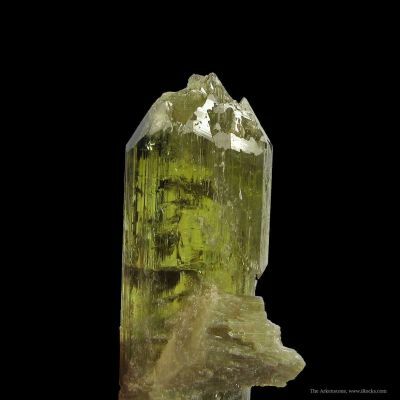 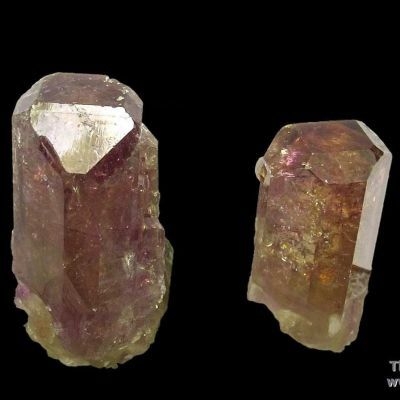 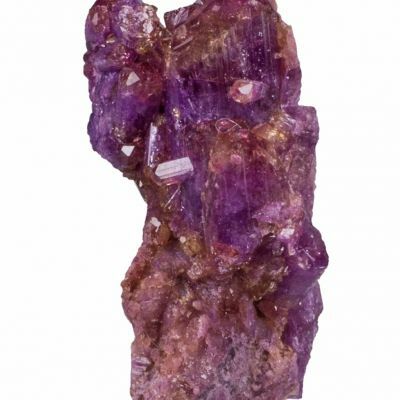 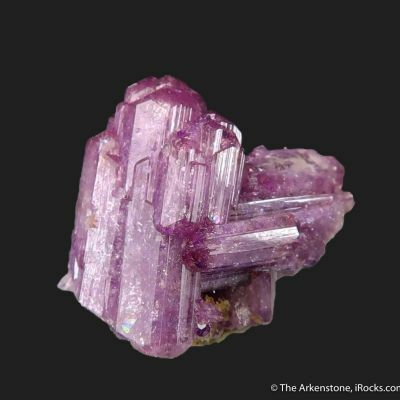 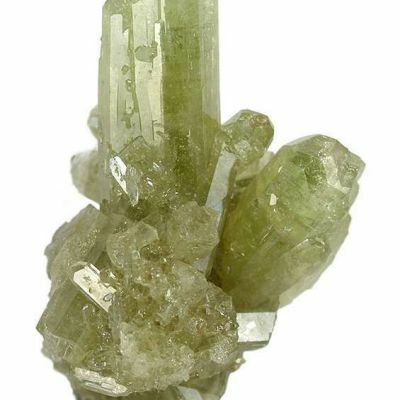 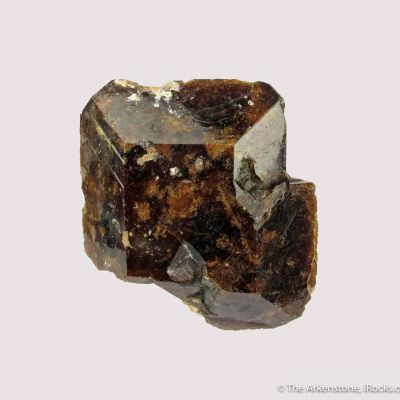 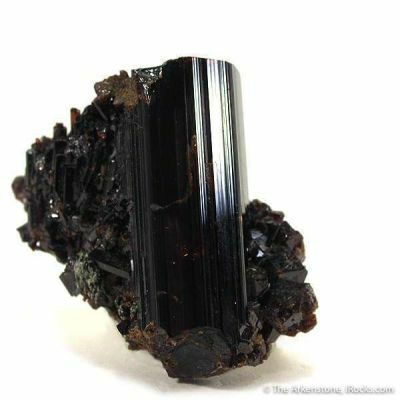 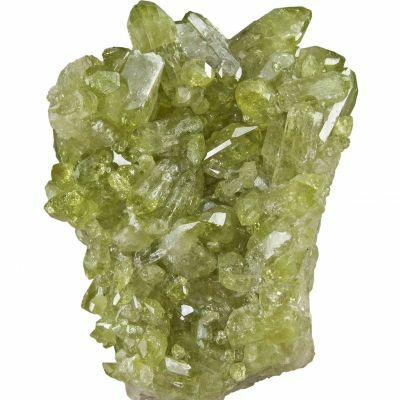 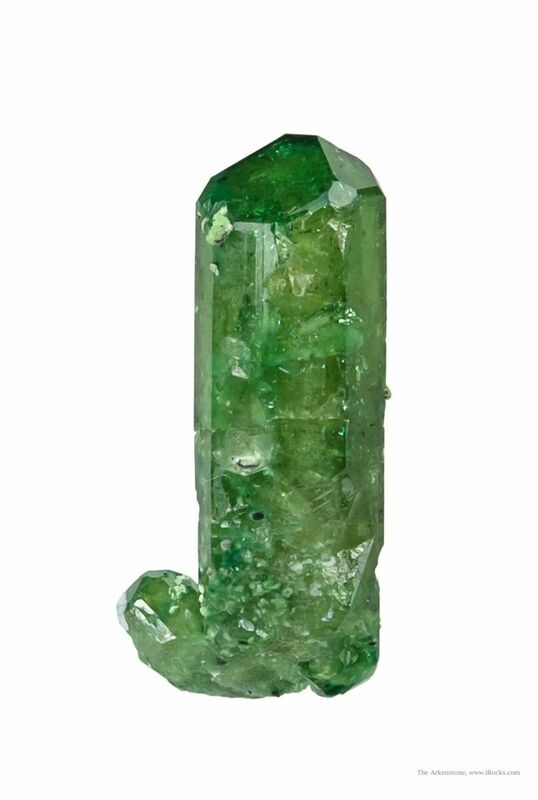 For some reason, most of the chrome vesuvianite pockets have produced conjoined clusters of intergrown crystals, seldom with such individual definition to the crystals. This comes from a small private collection, self-collected (I believe it was in the 1980s), sold at Tucson in 2014.